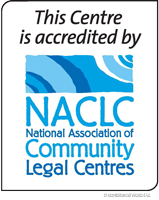 ECLC’s Elder Abuse Program provides legal and non-legal advice and support to older people, their families and support services when elder abuse is present or suspected. Elder abuse often occurs in complex and highly distressing circumstances. ECLC identifies the key issues of the older person’s situation and provides them with options for addressing the abuse and improving their safety and wellbeing. 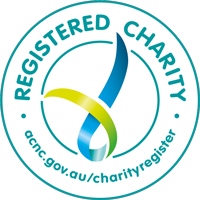 ECLC also provides assistance and referrals for broader issues such as housing, health and aged care, financial counselling and financial assistance. If you require support or advice in relation to elder abuse, please contact ECLC. ECLC and the EEAN have developed the Elder Abuse Case Conferencing Site to facilitate cross-agency collaboration and encourage better coordination of services. The innovative system allows agencies to share de-identified cases with other services and provides instant access to support, advice and referral for clients who are experiencing or at risk of elder abuse. To express interest in joining the Eastern Elder Abuse Network, please contact ECLC. ECLC’s Behind the Curtain video raises awareness of elder abuse among GPs in the Eastern Metropolitan Region and provides medical professionals and their patients with information and links to support services. ECLC launched Behind the Curtain in 2015. The video is funded by Melbourne East GP Network. Search “elder abuse” on the Health.Vic website to locate a range of resources for health professionals produced by the Victorian Government. See Chapter 10 of the RACGP White Book which provides information about identifying and responding to elder abuse, as well as information on who is best to contact once suspicion of abuse is confirmed. Visit the comprehensive Elder Abuse section of HealthPathways Melbourne, using your allocated log-in and password details. If you don’t have login details, email info@healthpathwaysmelbourne.org.au to obtain them. Seniors On Line provides written information, including help sheets and a safety plan for older Victorians. Patients experiencing elder abuse can be directly referred to Seniors Rights Victoria, a free government funded service which provides a helpline and web-based information as well as legal advocacy and advice. Patients and/or their friends and family seeking advice and referral can contact ECLC’s Elder Abuse Prevention Co-ordinator directly. ECLC delivers Matter of Trust workshops to culturally and linguistically diverse communities across the EMR. Each workshop is designed and delivered in collaboration with cultural advisors from key partner organisations, particularly from the Indian, Greek and Chinese communities. Representatives from key Community Services attend workshops to provide information in response to the group story, which illustrates the collaborative approach required to address elder abuse. If you would like to arrange a workshop for your community group or participate as a Community Service, please contact ECLC. ECLC advocates on issues affecting older people by calling for significant and urgent law reform. To access submissions, please visit the Law Reform & Policy page.